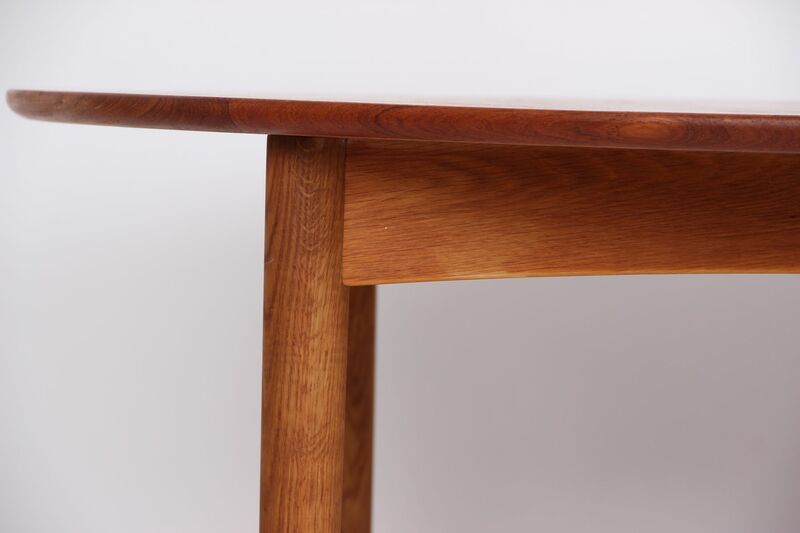 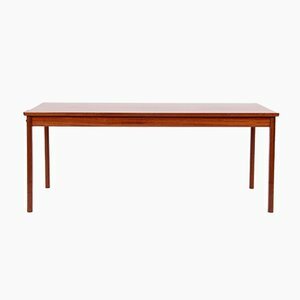 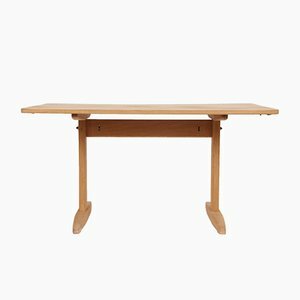 The table top is veneered in teak and features an oak frame. 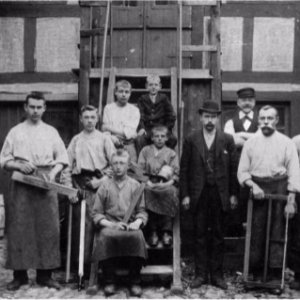 Danish furniture manufacturer Søborg Møbelfabrik was founded in 1890 by cabinetmaker Jacob E. Jacobsen. 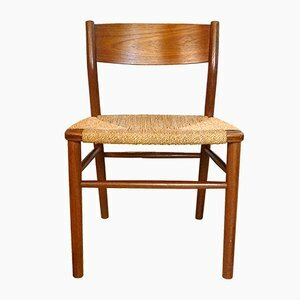 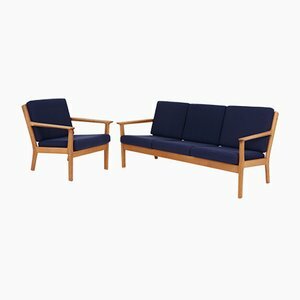 Dedicated to producing consistently high-quality furniture that showcased the Danish design tradition, Søborg Møbelfabrik—which was managed by generation after generation of the Jacobsen family—has worked with some of Denmark’s most celebrated mid-century furniture designers. 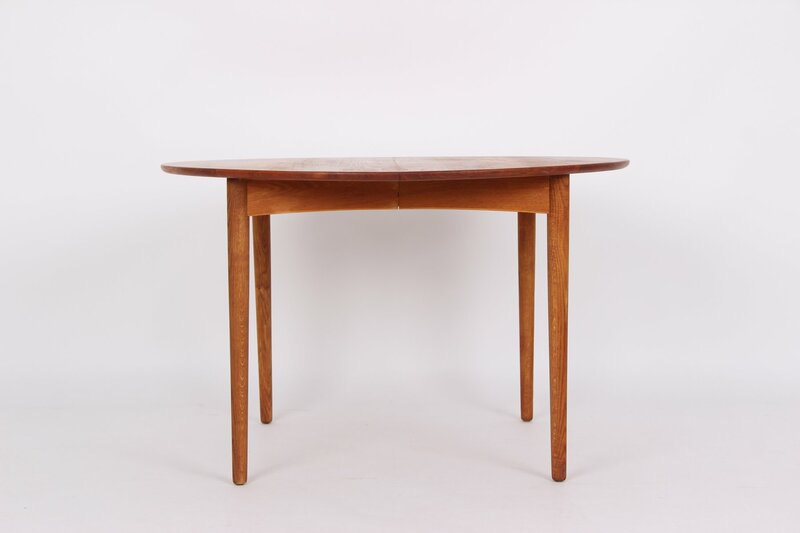 Located in the suburbs of Copenhagen, the traditional cabinetmaking workshop established by Jacob Jacobsen was modernized by his sons Arne (1899-1977, no relation to the mid-century designer Arne Jacobsen) and Orla (1895-1980) when they took over in 1930. 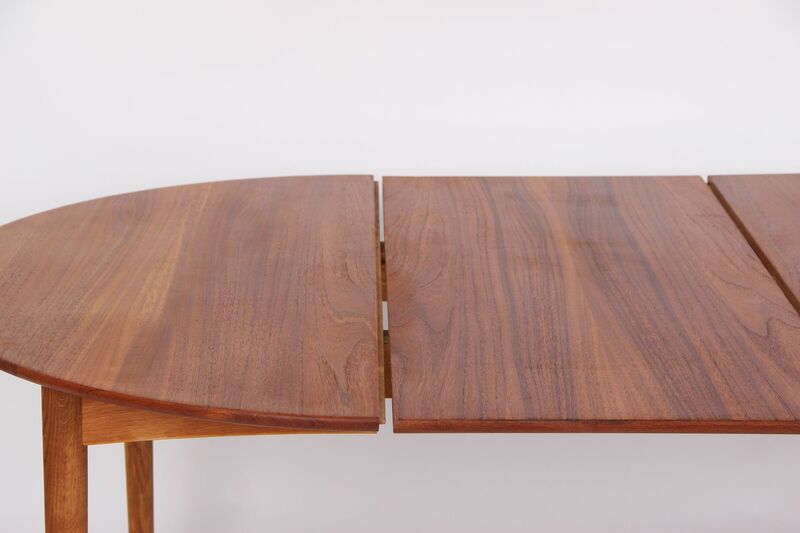 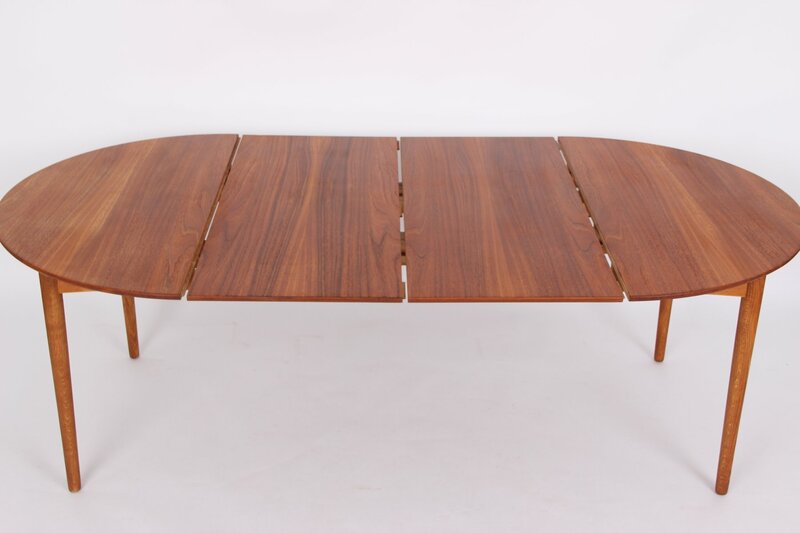 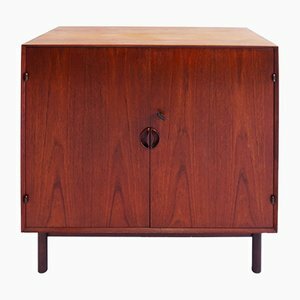 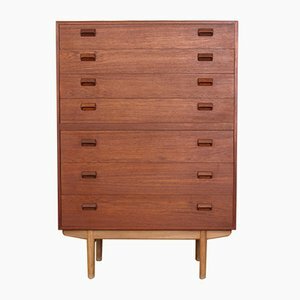 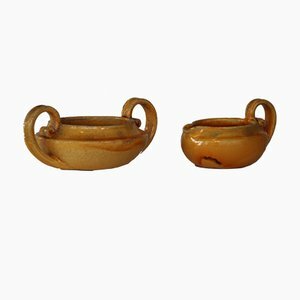 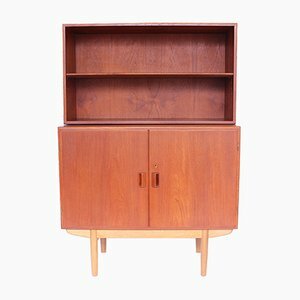 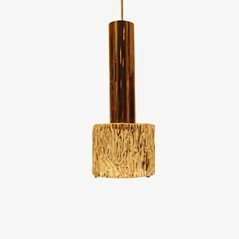 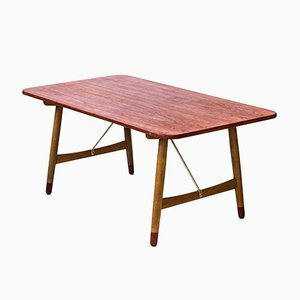 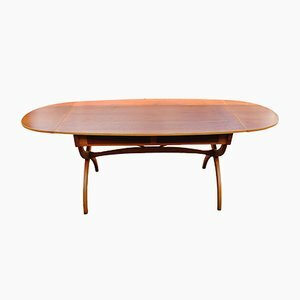 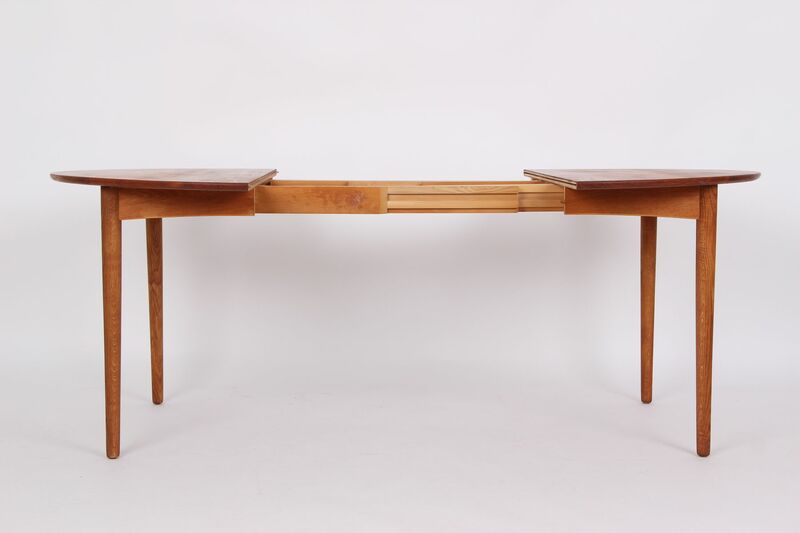 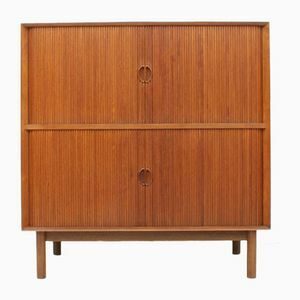 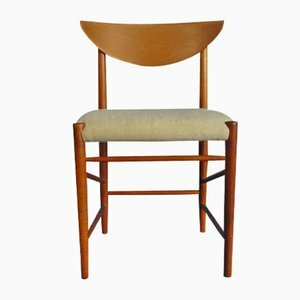 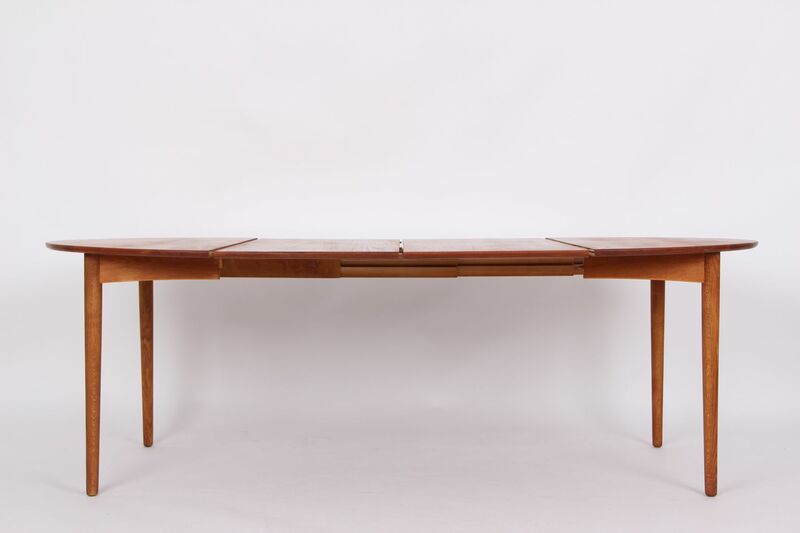 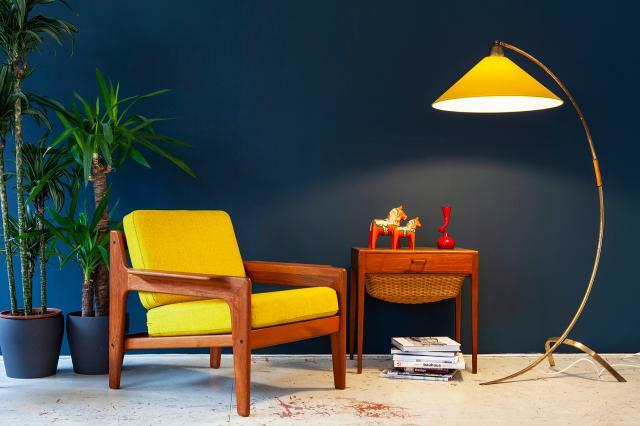 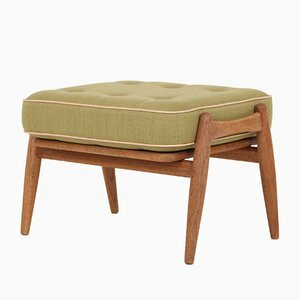 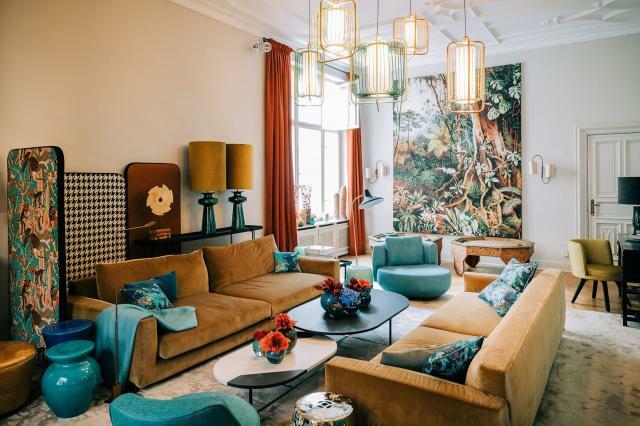 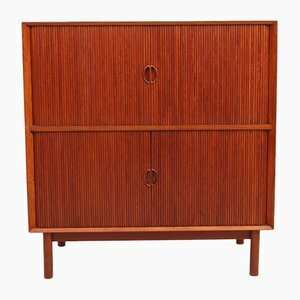 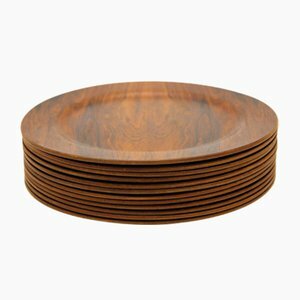 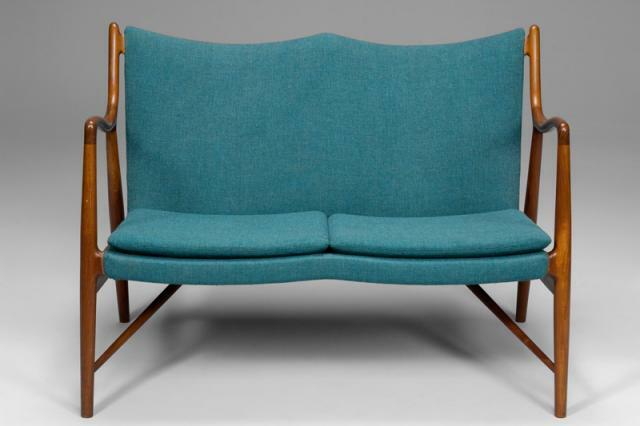 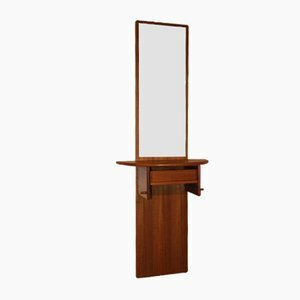 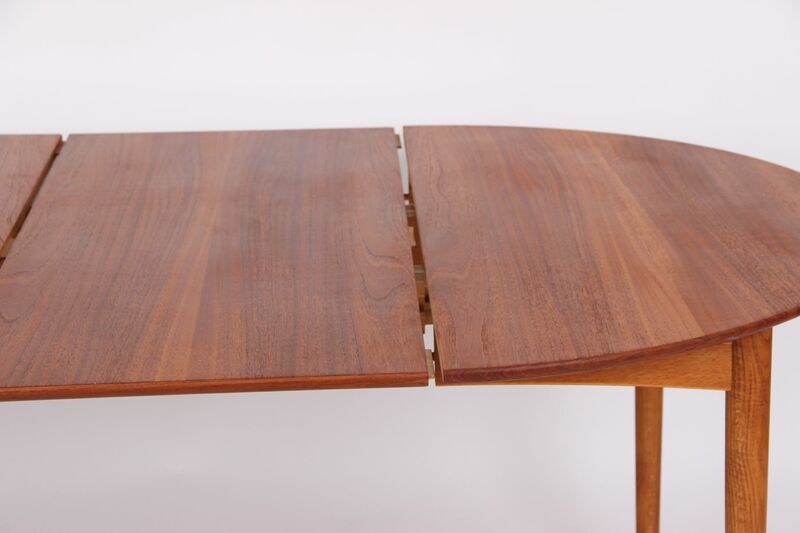 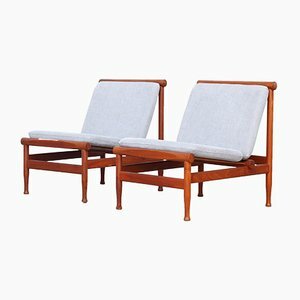 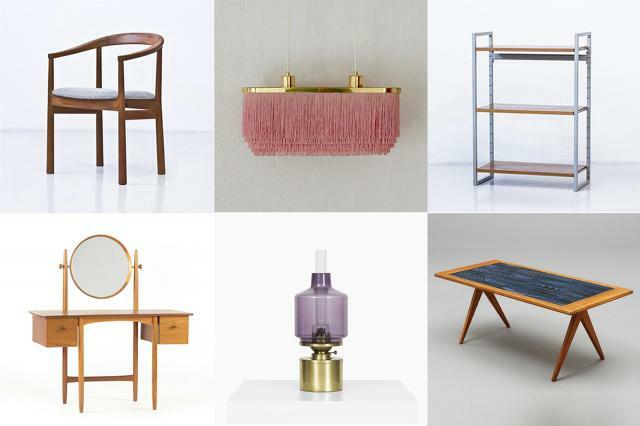 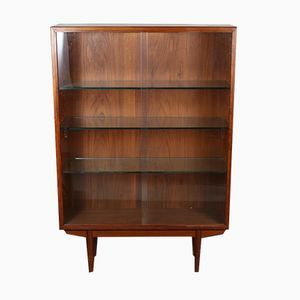 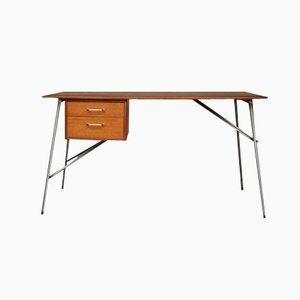 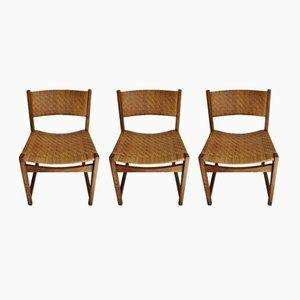 They collaborated with several important cabinetmakers, architects, and burgeoning designer talents over the mid-century period, including Peter Hvidt (1916-1986) & Orla Mølgaard-Nielsen (1907-1993), Mogens Lassen (1901-1987), Børge Mogensen (1914-1972), and Bernt Petersen (1937-2017). 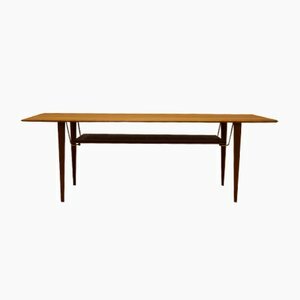 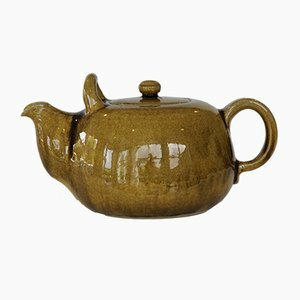 Throughout the 1940s and ‘50s, Søborg Møbelfabrik participated in the annual exhibitions held by the Copenhagen Guild of Joiners. 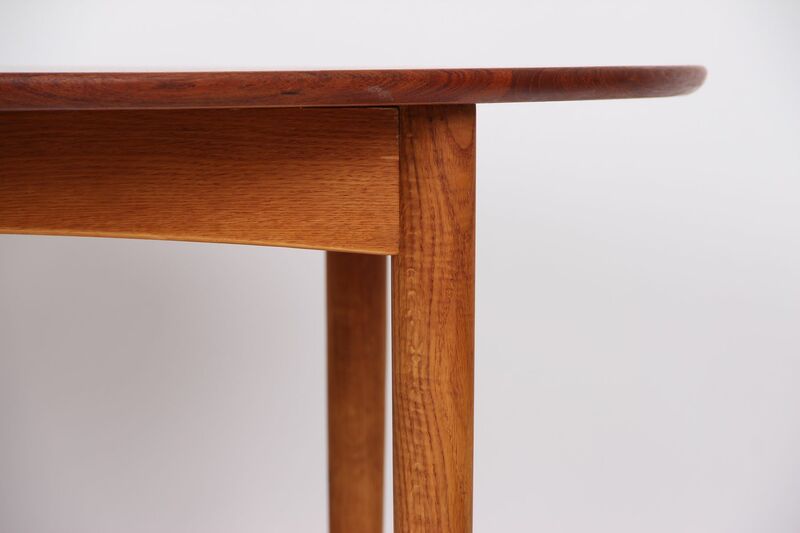 In 1942, architect Mogens Lassen designed a solid mahogany stool in a sculpted semi-circle shape for the Guild of Joiners' furniture exhibition at the Museum of Industrial Art in Copenhagen. 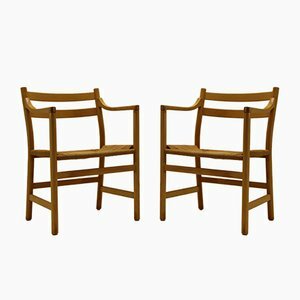 Other notable designs for Søborg include Mogensen’s King of Diamonds Chair (1944) and Chinese Cabinet (also 1944, exhibited at the Guild of Joiners) and Peter Hvidt and Orla Mølgaard-Nielsen’s No. 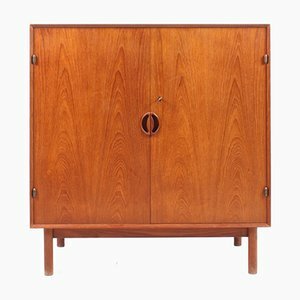 302 cabinet, No. 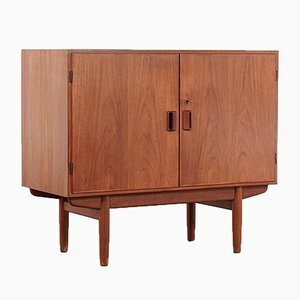 309a sideboard, No. 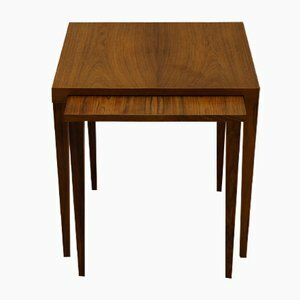 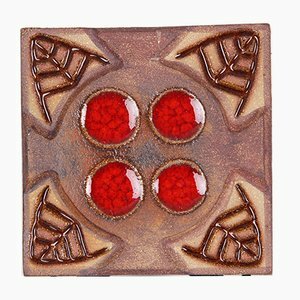 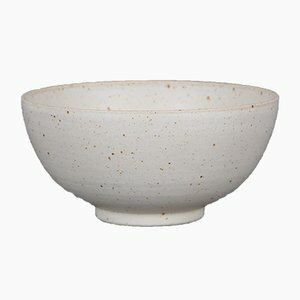 311 dining set, and No. 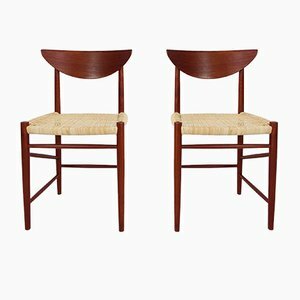 316 and 317 chairs (all 1950s). 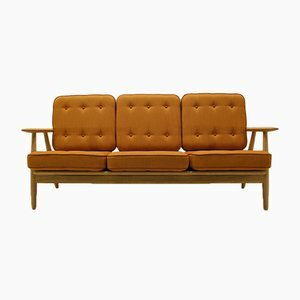 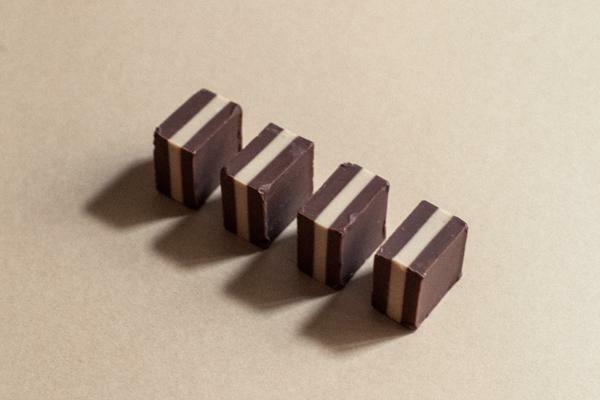 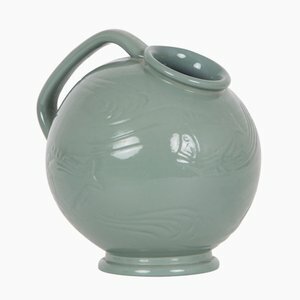 In 1976, designer Christian Hvidt (b. 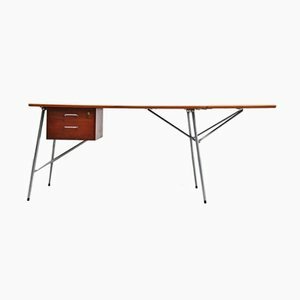 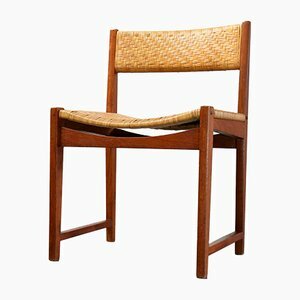 1946) collaborated with Søborg, creating several designs for home and office furniture. 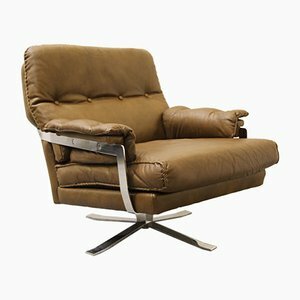 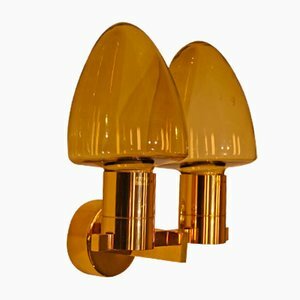 His SM03, SM76, and SM200 wall units are among his most renowned designs. 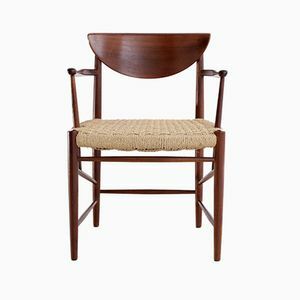 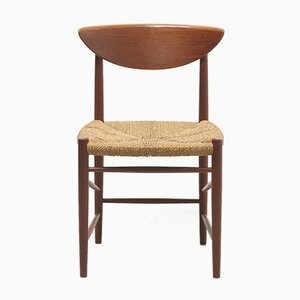 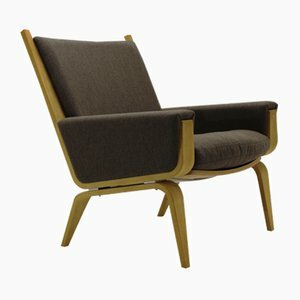 Søborg Møbelfabrik continues to produce a wide range of contemporary and classic designs, and is also licensed to sell designs originally produced by the manufacturers Carl Hansen A/S, Fritz Hansen, Fredericia, Erik Jørgensen, and Rud Rasmussen.